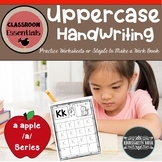 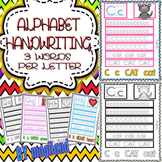 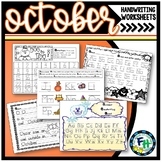 Capital and lowercase cursive handwriting worksheets with space for students to write name and date on paper. 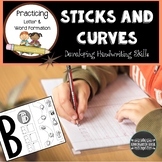 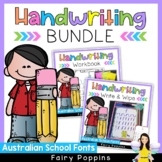 Four versions include; Scoring rubric, phonics, sign language and guided arrows. 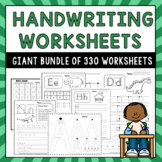 Great for review, assessment, homework, activity packs and centers! 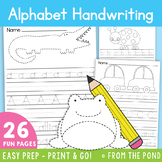 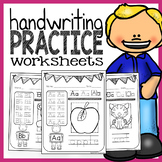 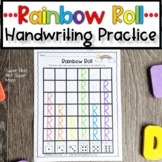 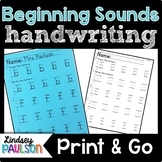 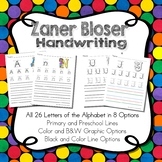 Autism and Special Needs: SIMPLE Handwriting Worksheets!